As I was looking at Chrome extensions last night I came upon CopyCat. Copycat is created by Follett Labs which is a book / ebook distributor for K12 education. Copycat is an extension which allows you to copy text and images and store them in the extension itself. You can easily turn the extension on and off, but when on you see a small tab on the left side of your browser. Any time you see a text selection or image you'd like to copy simply right click to either copycat this selection or image. Clicking on the tab gives you access to all your Copycats which are organized by date. All of the Copycats include the originating url for later reference. I found the searching of Copycats to be quite accurate. This could be beneficial if you have lots of Copycats. Follett Labs suggests two use scenarios; teachers gathering information from a variety of sources for a document, and students completing a research project. I found this extension useful for this blog post and plan on using it in the future. This extension could be useful to a variety of users whose workflow is dependent on the web. 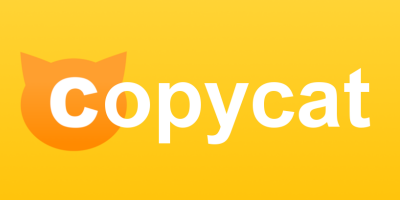 Copycat is a great alternative to a site like Diigo which last year had some major security / privacy issues. With Copycat the data resides in the extension itself not some third party site. A feature I would love to see is integration between Copycat and Google Drive. That would be the simplest and most secure way to give you access to Copycat from multiple devices.